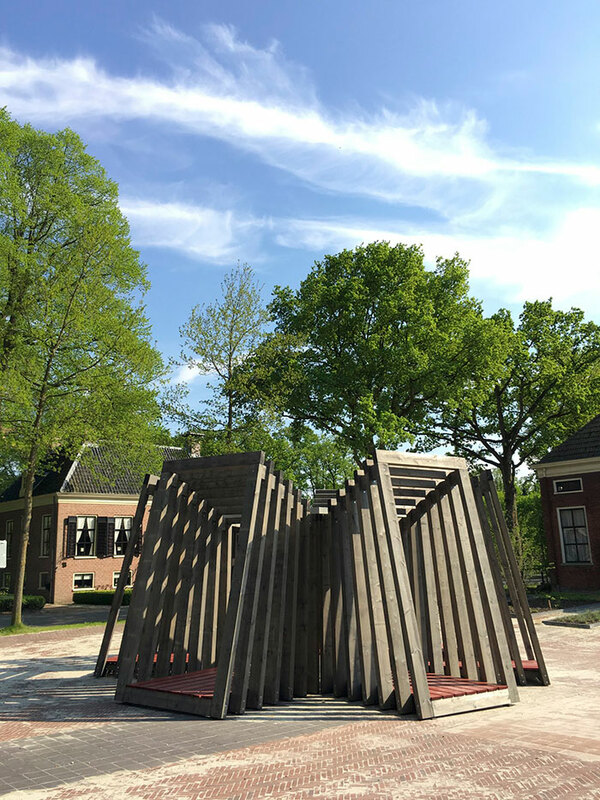 Huting & De Hoop, (a partnership between Ward Huting & Gerard de Hoop) is one of the ten winners of the Folly design prize competition issued by the Stichting Landgoed Fraeylemaborg in Slochteren, the Netherlands. The Heritage Square is a place of historical interest. The Slochterdiep, the region’s maritime artery, used to run here. The track boats moored here several times a week. Not only were goods trans-shipped but gossip and news were exchanged at the same time. 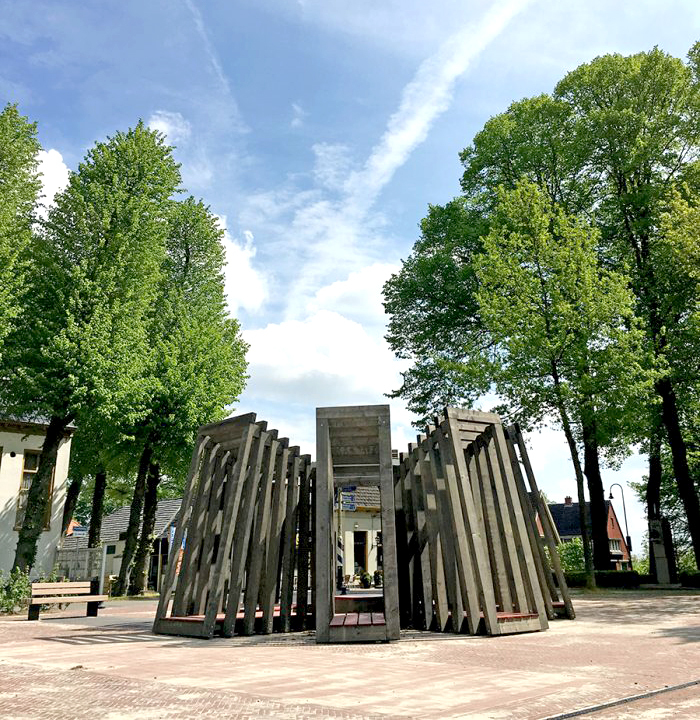 The canal boats could turn in the narrow canal because of the turning point ( called a ‘swoaistee’ in the Groningen dialect) which was located here. Because of that, all of Slochteren prominent buildings are found here. The ‘history Folly’ is situated in the heart of the village. 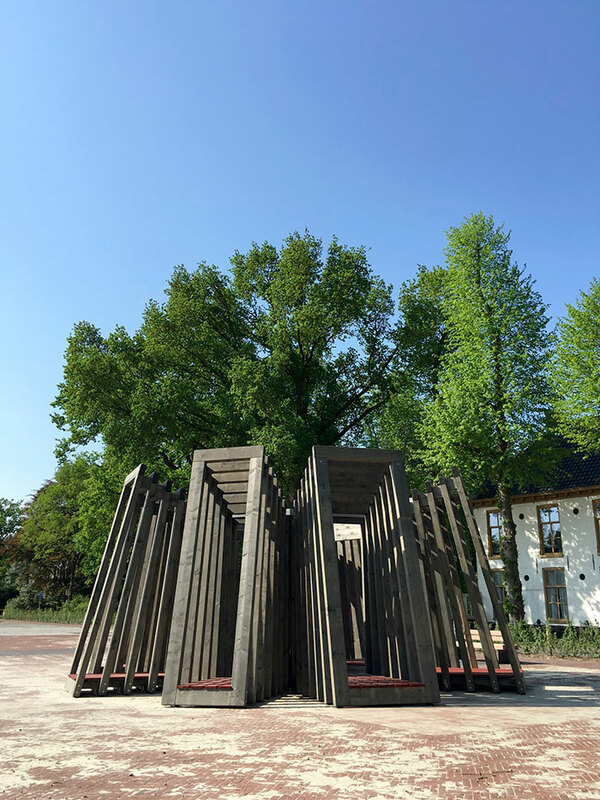 Imaginary sightlines can be drawn from this spot to the remarkable buildings, each of these buildings has its own story to tell about the history of the village. Folly ‘the Swoaistee’ is on the spot where once the turning point was and is designed around the imaginary sightlines. 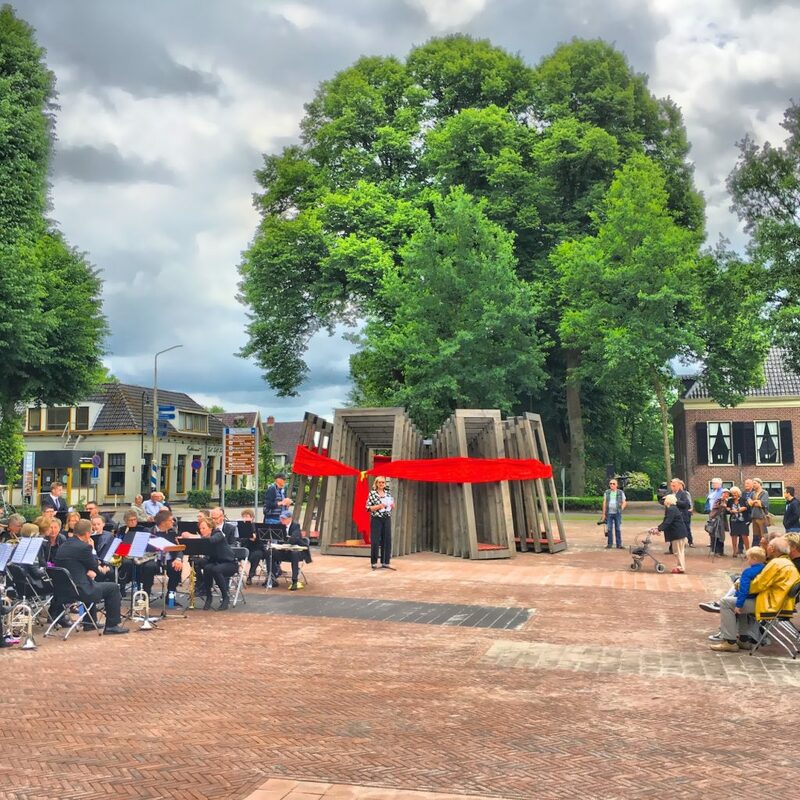 The visitor’s view will automatically be determined by the buildings in the square and the Slochterdiep. 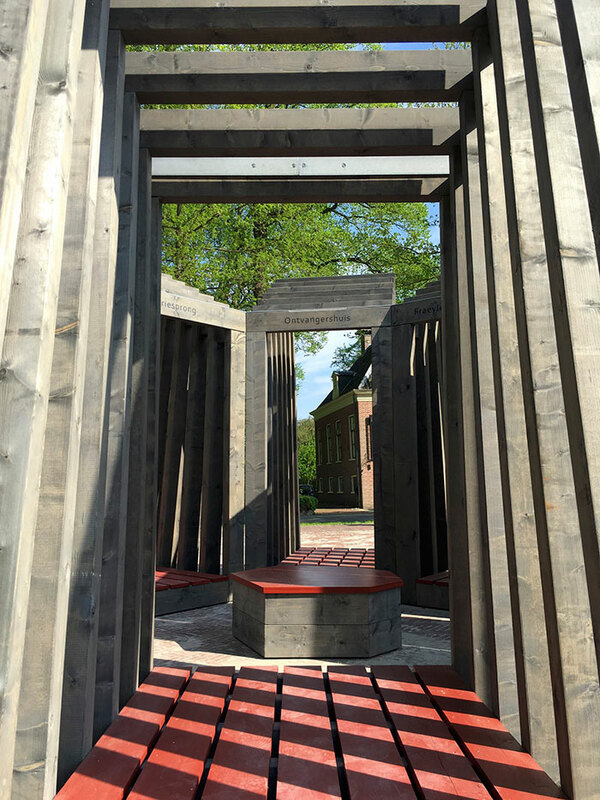 In the centre of the Folly a seating area is created, from which visitors can look in all directions. 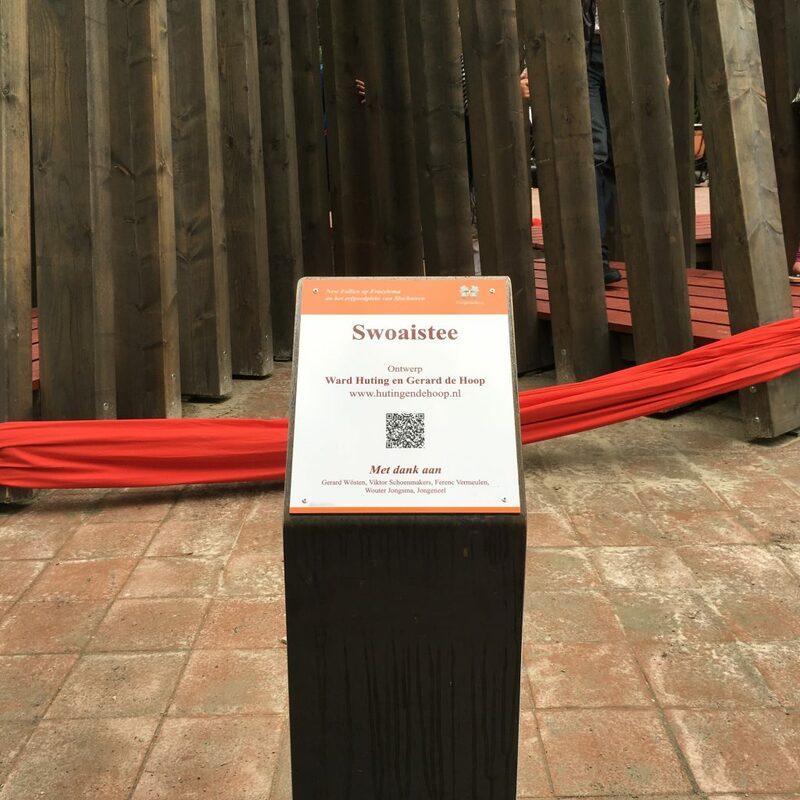 This is the turning point (the Swoaistee), the central point of the structure. The follies remain for 5 years. 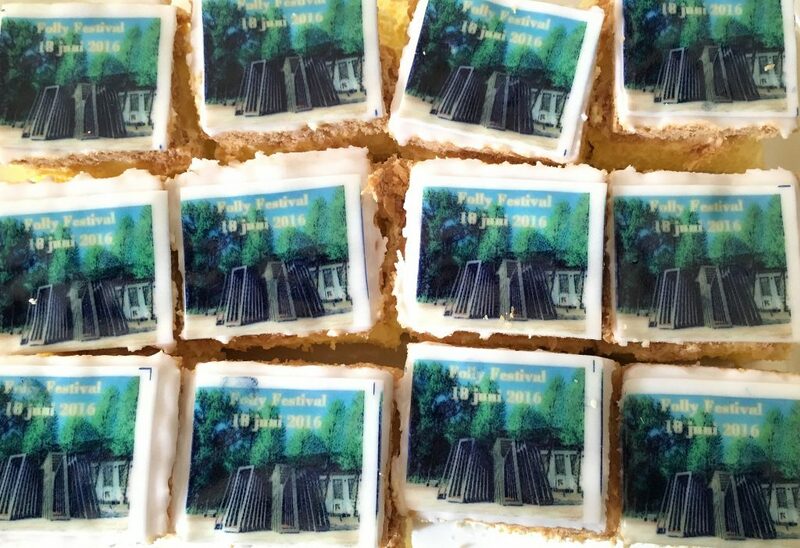 June 18 2016: Opening of the Folly festival.